It’s been 7 and a half years since my wedding, but it may as well have been over a decade with the way things have changed since. When I got married it was common to have your bridesmaids all wearing the same floor length dress in the same color, the same shoes and the same accessories. Now you see bridesmaids wearing different styles, lengths, shoes and accessories and yet it all comes together beautifully. One of my girlfriends even chose a color and set us free to choose any dress we’d like. I would have panicked over this decision, but wouldn’t you know it, the whole group looked amazing together! 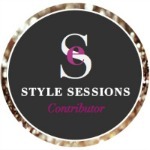 With the freedom to style ourselves to fit our individual bodies and personalities it seemed to give each of us a boost of confidence, and that always helps when you’re walking down that aisle! Every bride reserves her rite to decide what she’d like her wedding party to wear and luckily today there are some beautiful options out there. I’ve gathered a handful of dresses as well as some shoes and accessories in some of my favorite hues to provide a little wedding inspiration. The best part is that none of these dresses scream ‘bridesmaid’. I would wear any one of these dresses even if I were only a attending as a guest. Have a look for yourself…..
For those of you already married, is there anything you’d change about your wedding if you were to do it again today? Maybe I can talk my husband into renewing our vows for our 10th anniversary, hmmmmm….. Happy Friday all! I know it’s said all too frequently, but kids really do grow up way too quickly. 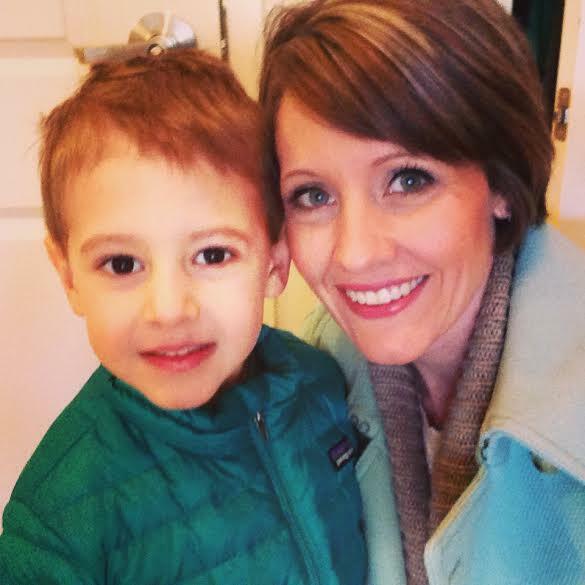 I realize that in the coming years my husband and I are going to have many obstacles to tackle with our kids and at times it can all seem very daunting. This week my 4yo son began getting incredibly offended when we laughed at something funny he did. He told us that we were hurting his feelings (in his almost cry voice with a quivering lower lip) and it almost broke my heart. How I wish I could keep him in a bubble and protect him from anyone who may knowingly or unknowingly hurt my baby….just like any sane mother would, right? Since that obviously isn’t going to happen and both of them will most likely grow up, I spent the week loving and enjoying my kids. We danced like maniacs, we sang, we read, we cuddled, and I made certain that I did not laugh unless a certain 4yo was laughing along with me. 1) I mentioned we sang, right? 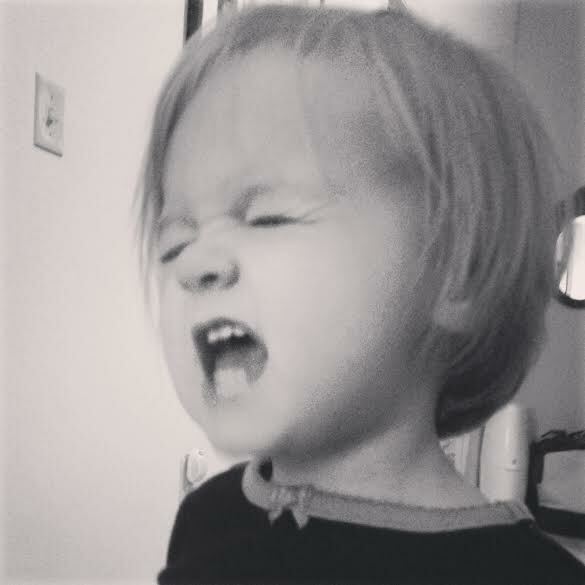 This would be my daughter’s latest singing face. What’s even better is that not a sound comes out of her mouth when she’s doing this! Count her out for karaoke, but lip-syncing, she’s down! 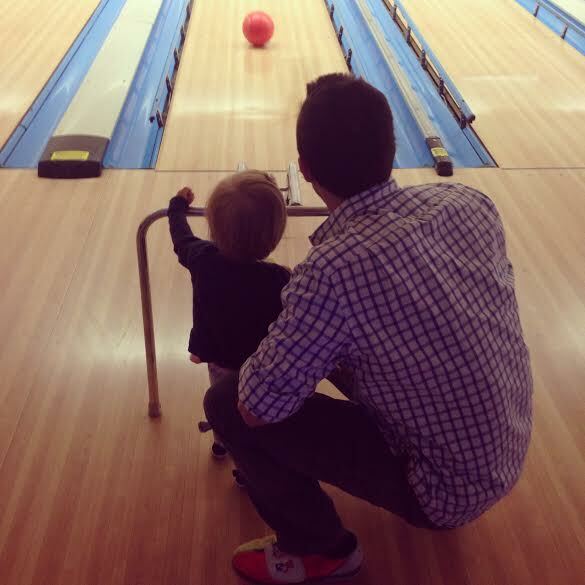 2) Is there anything cuter than watching a bowling ball creep down the lane and ever so slowly knock down a pin or two? And I’ll just throw it out there that I may or may not have beat my husband. Maybe next time, my love ;) 3) I was able to help out at Jack’s preschool one morning this week and loved getting a little peek into his world. Preschoolers are so darn cute!! 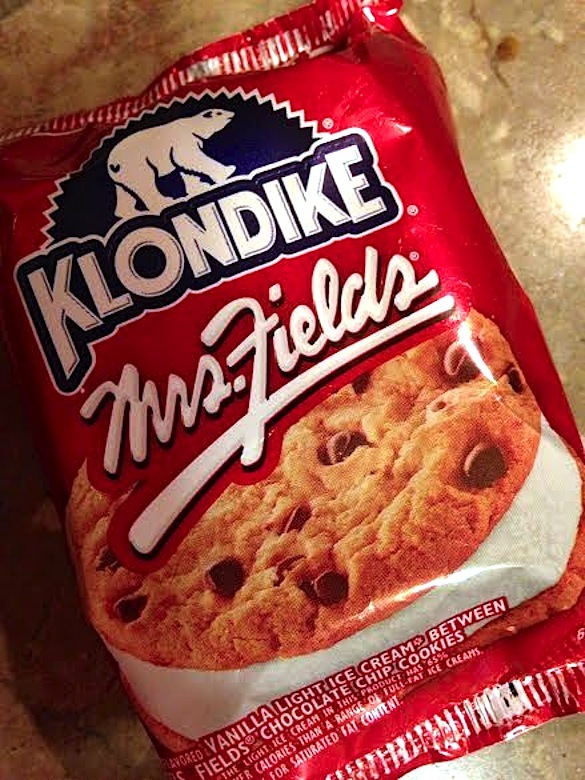 4) There are many components that make a great marriage, but I would have to argue that bringing a Mrs. Fields Klondike home to your wife has got to rank towards the top! 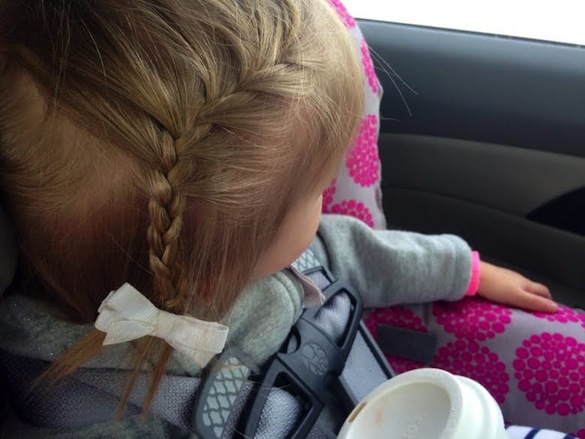 5) It took someone else’s talent to remind me that there are endless ways to style little girls’ hair. Now if only I could get her to sit still! I hope your week was wonderful! See ya next week! 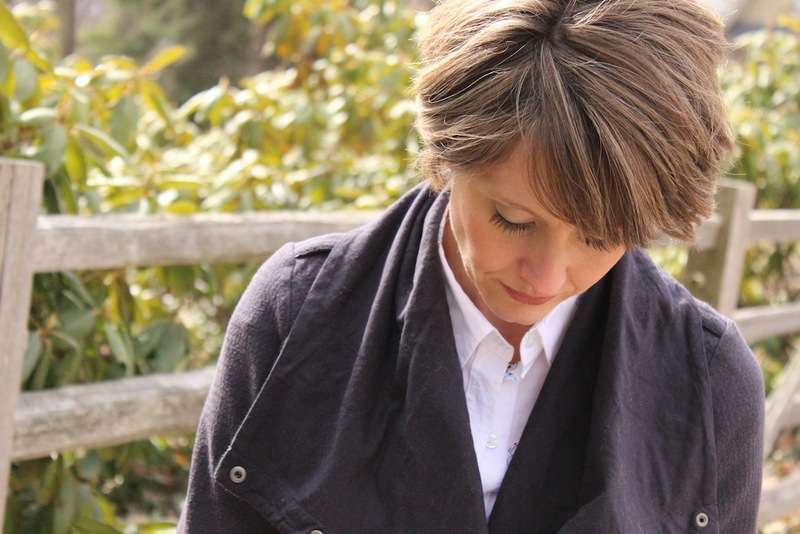 I ordered this jacket a few weeks ago from Anthropologie and as soon as I got it I loved it. It is incredibly soft and light, yet warm which leads to me lounging around in it all day, not just when I’m out running around. 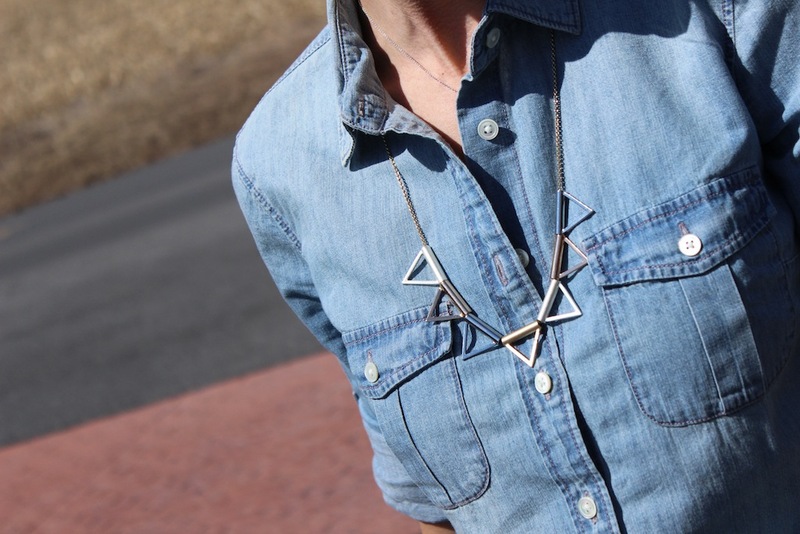 It’s a wonderful piece to add to a wardrobe for spring and I only wish it came in more colors! 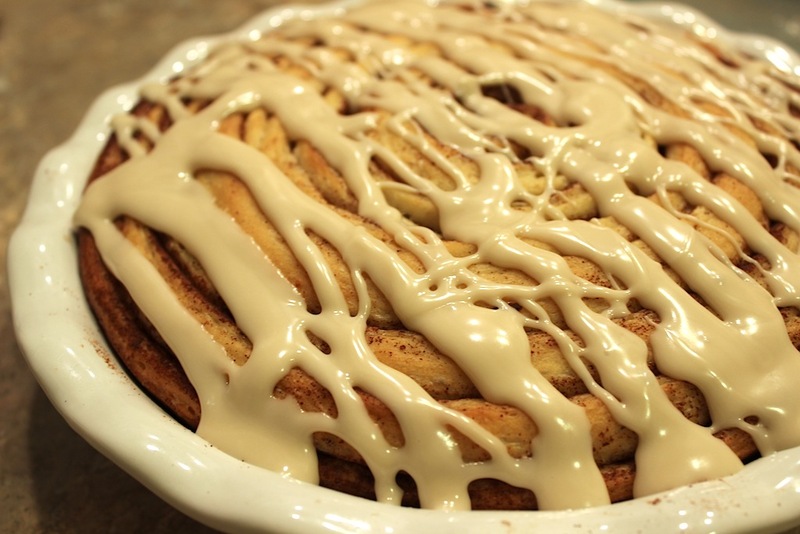 Just when I thought cinnamon buns couldn’t get any better, I found this Giant Cinnamon Roll Cake! 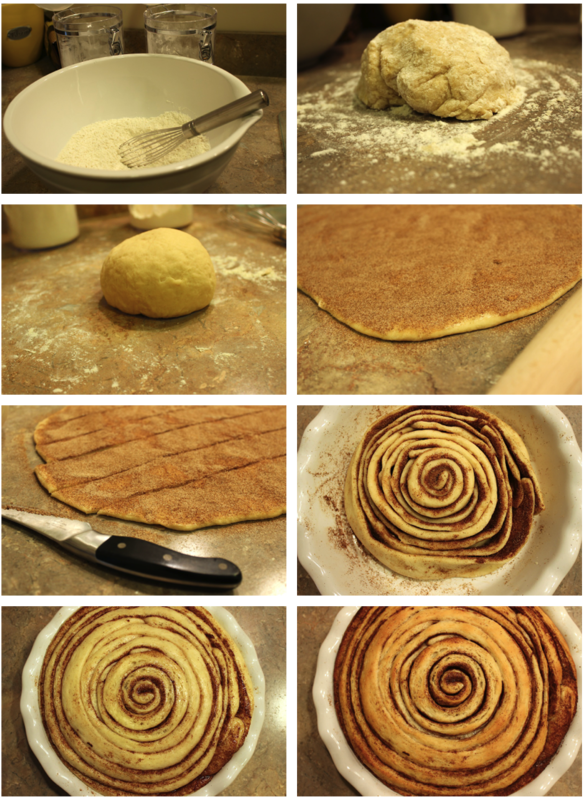 I have yet to meet someone that can pass up a cinnamon roll (unless you gave up sugar for lent or are gluten free…sorry girls!!) and I’m certainly not one of them. We were celebrating a friends birthday during a morning bible study, so this seemed like a better option than cake. Don’t get me wrong, I have had cake for breakfast more than once, but this just seemed like a fun and different option. 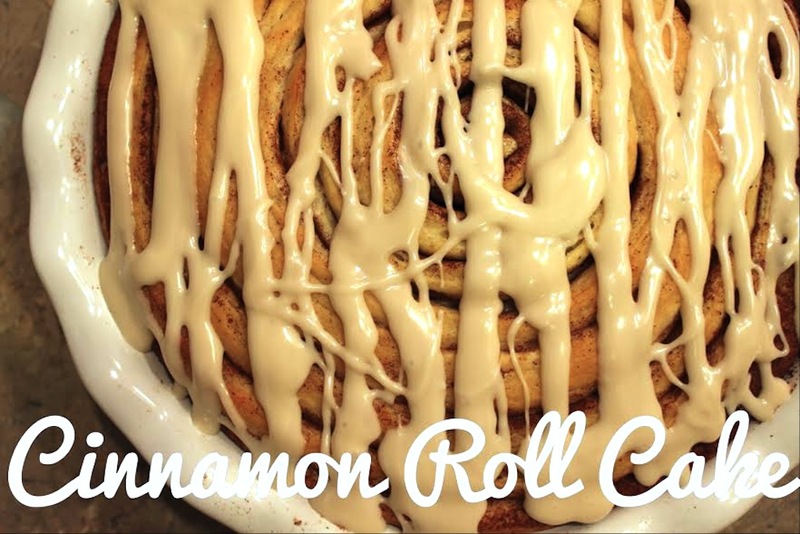 Wouldn’t it be sweet to surprise a spouse or child with this for breakfast on their birthday?? I know I’d be thankful! 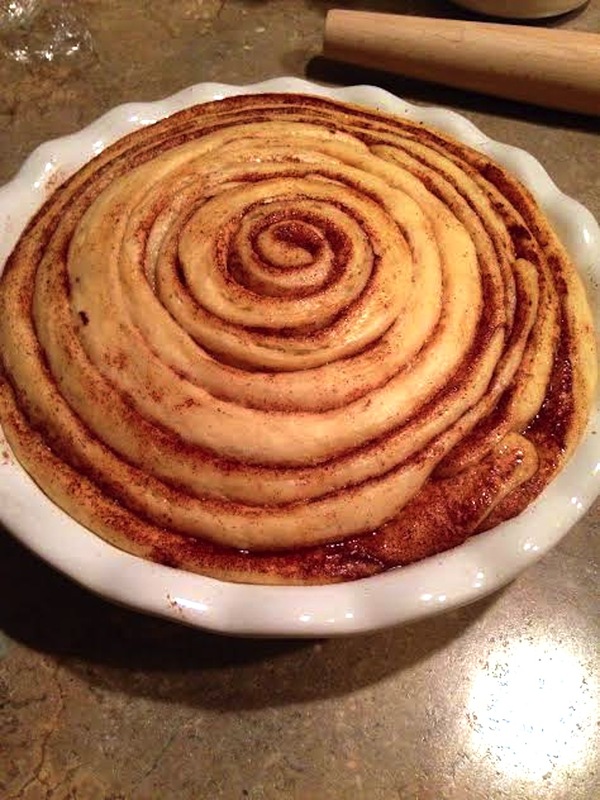 Make sure you prepare ahead of time because the dough will need time to rise, but other than that, you shouldn’t run into any issues with this recipe. After shaping the dough into the dish and looking at the sad drooping dough I thought I had ruined it. But after I let it rise for nearly an hour and a half (in the over as the recipe recommends) it puffed up gloriously filling up the dish entirely. Oh and the smell, watch out, it’s dangerous! A few weeks ago I was finding it rather difficult to pull together a monochromatic look (seen here), but since then I’ve been finding myself dressing monochromatically without even trying. In a way it follows my shopping theory, that I find the best purchases when I am not looking for them. Any time I’m on the hunt, I typically strike out. So if you want my advice, I say stray from your list (within reason of course) and grab those wonderful items when you see them. 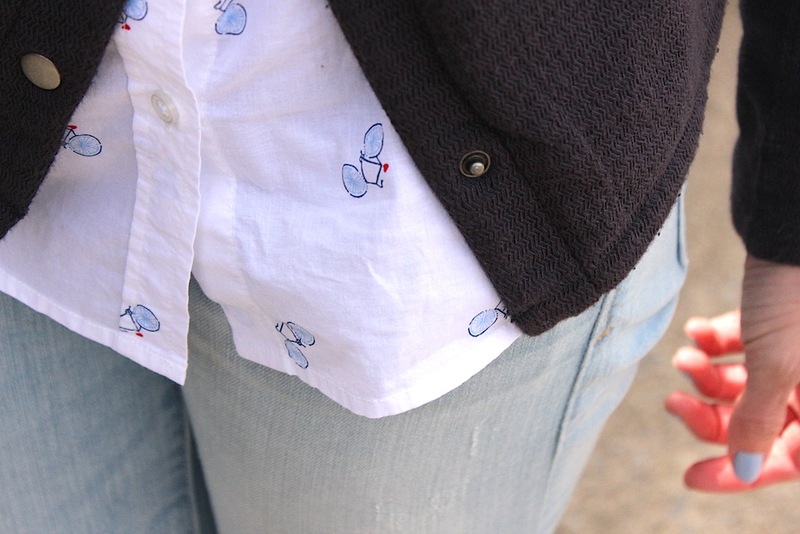 This top was another item I picked up at the Boden sample sale I hit up a few weeks ago. It’s such a classic piece and I just love the blue leopard print. It’s still available in limited sizes on their website which you can find here. I then broke out these JCrew pants which I had tucked away for the winter, and I have a feeling they’re going to get their wear again this season. They are so stinkin’ comfy, you may want to try them out. 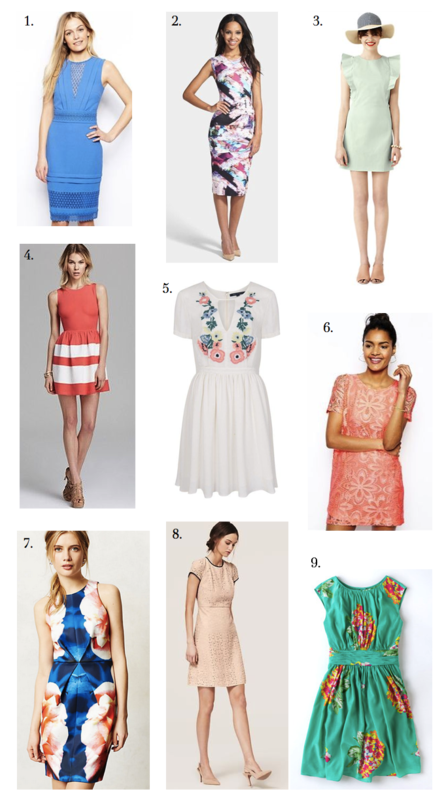 Along with warmer weather, springtime also brings a slew of activities that require (or allow) you to throw on dresses. Whether you have a shower, girls lunch, or any other fun event coming up, I’ve gathered some dresses that I’ve been loving lately. There are a ton of options out there right now. Everything from soft and sweet to bright and edgy, so no matter what you’re going for, you shouldn’t have an issue finding something perfect for you. Are there others that are on your radar? Do share! Happy Friday, friends! It’s officially spring and I couldn’t be more pleased! Now if only I could put away my winter coats for good, I’d be one seriously happy girl. That and finally clearing my kids of colds and winter illnesses for good! They both got hit with awful colds on Monday, so we’ve been making it through the week with a little less sleep and a lot more coughing! My husband came down with it as well, so I am the only healthy one around here doing my best to remain sane. 1. Daffodil’s felt more than appropriate to grab this week and since snapping this pic yesterday afternoon they have already blossomed! 2. A new pastel polish I grabbed to continue with the Spring theme of the week, Essie’s lilacism. 3. I was invited to a CAbi clothing party and ordered this little number while I was there. I’m in love with the color and the fact that it can be worn as a dress, a tunic, dressed up or down sold me even more. It had been a few years since I had been to one of these parties and I’m so glad I decided to go. If you aren’t familiar with the concept, it’s basically a home show where the clothes come to you. If you live in the area (central, PA that is), I’d be more than happy to introduce you to a consultant. 4. 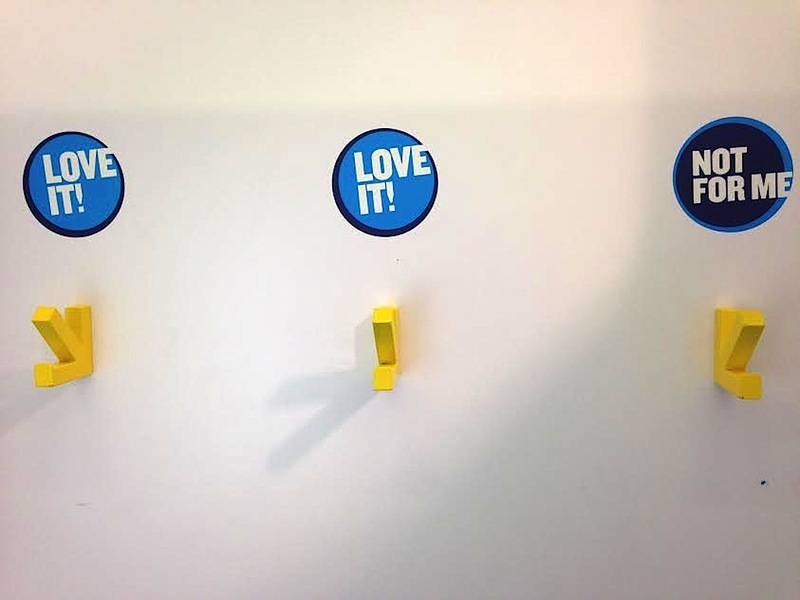 Maybe it’s been awhile since I’ve been in an Old Navy dressing room, but I sure got a kick out of their clothing hooks! Macaroni and cheese is one of those comfort foods I would hate to do without. My son, who is an extremely picky eater, took almost 4 years until he began enjoying it! And when I made this as a side a few evenings ago he finally said, “Mom, this is the best dinner ever!” A sure stamp of approval. 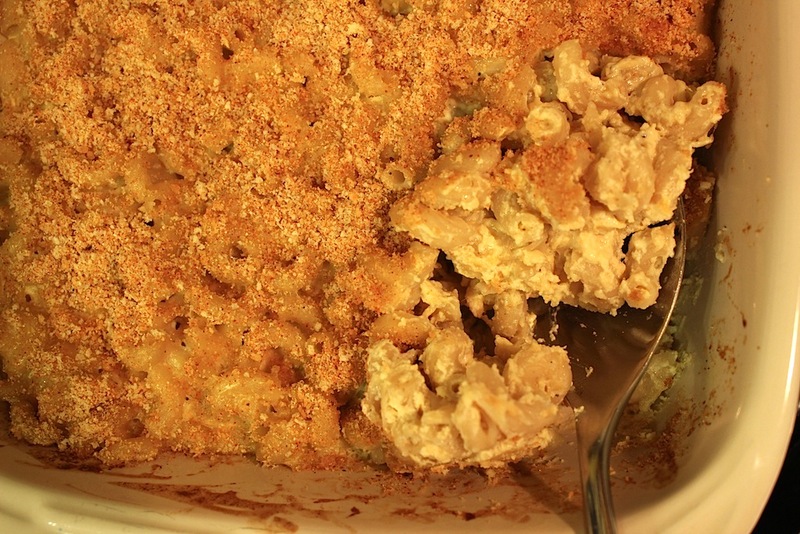 I know there are a million and one recipes out there for baked mac ‘n cheese, but this one is one of my top fav’s for sure. I’m not claiming that this recipe is healthy, but by mac and cheese standards it has a lot going for it. To start with, I always use the Barilla Protein Plus noodles (whole wheat would also work) and I use skim milk and part skim ricotta and cheddar cheese as well. I rarely use fat-free anything because it seems they always need to compensate for the lack of taste with an excess of salt or sugar. Hence I take the mild-fat route, if you will, and stick with skim, part skim or low fat ingredients. I’ve made this dish for various occasions when company has been over and every single time I’ve been asked to pass the recipe along. I took that as a sign that all of you lovely readers may enjoy this as well. I found the original recipe here (you’ll see that you can add even more nutrients to this recipe by throwing in some spinach) but I’ve also posted my slightly edited version for you below. Hope you enjoy! Spray a 13 x 9 x 2baking dish with non-stick cooking spray. In a food processor or blender, mix ricotta, milk, eggs, mustard, salt and pepper. Process until smooth. 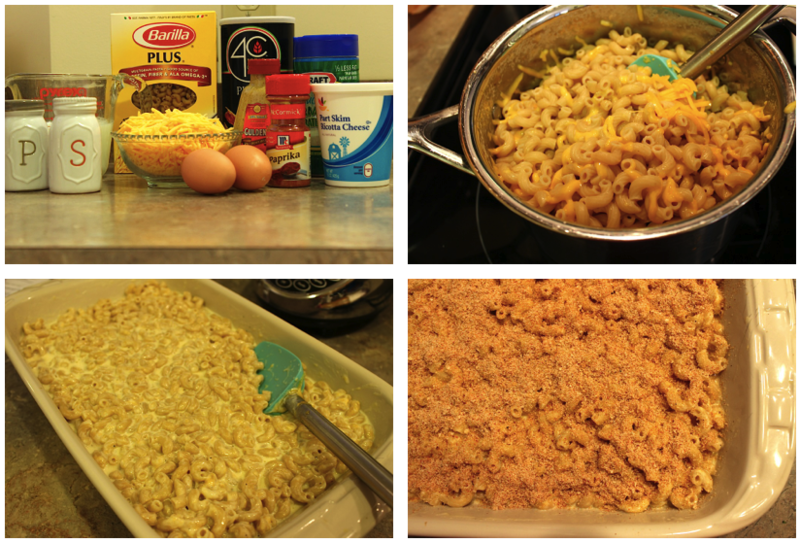 In a saucepan over low heat, stir together cooked macaroni and cheddar until cheese melts. Stir ricotta mixture into macaroni mixture and then scrape into prepared baking dish. In a small bowl,combine parmesan cheese, bread crumbs and paprika. 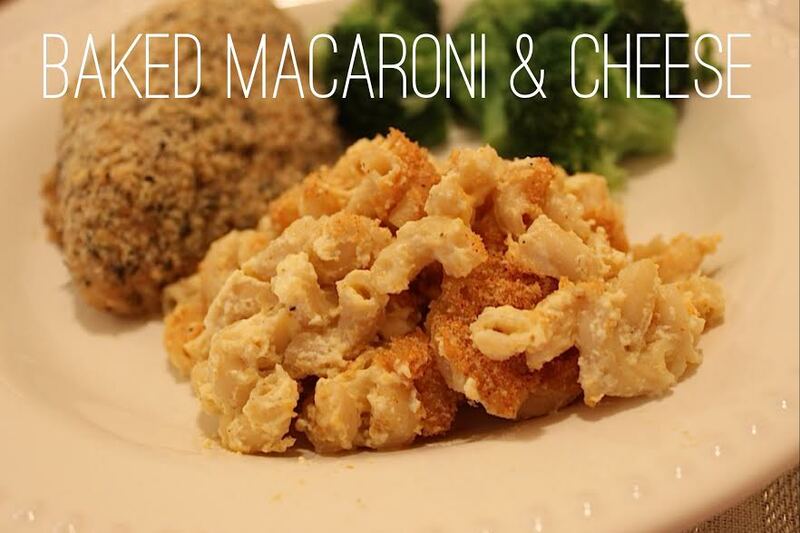 Sprinkle evenly over macaroni and cheese. Each year after Christmas has passed I find myself eager to get all of the decorations down. I can’t wait to de-clutter our home after the slew of presents take over our place. But once everything is back to normal, I realize how sparse and unwelcoming everything feels. This is most likely from the shock of going from one extreme to the next. 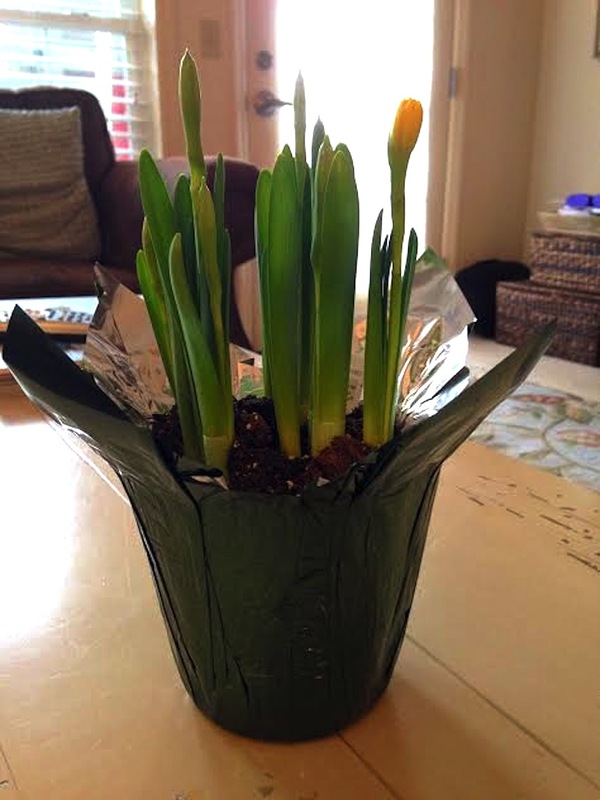 Regardless, I’m always excited when Spring comes along so that we can add some life back to our home. 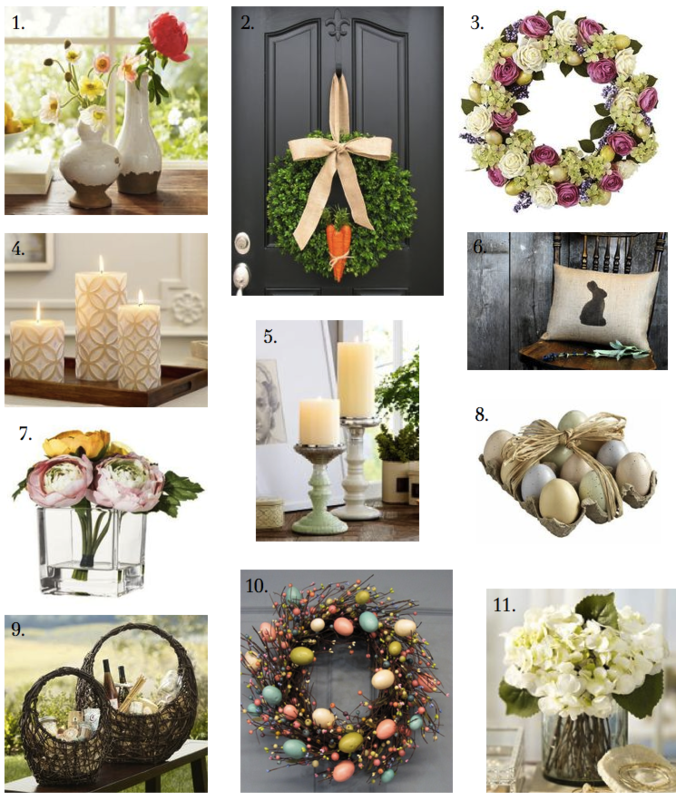 As Easter approaches I enjoy adding a few seasonally appropriate items, all while keeping my focus on the Spring theme which will carry out for the next few months. 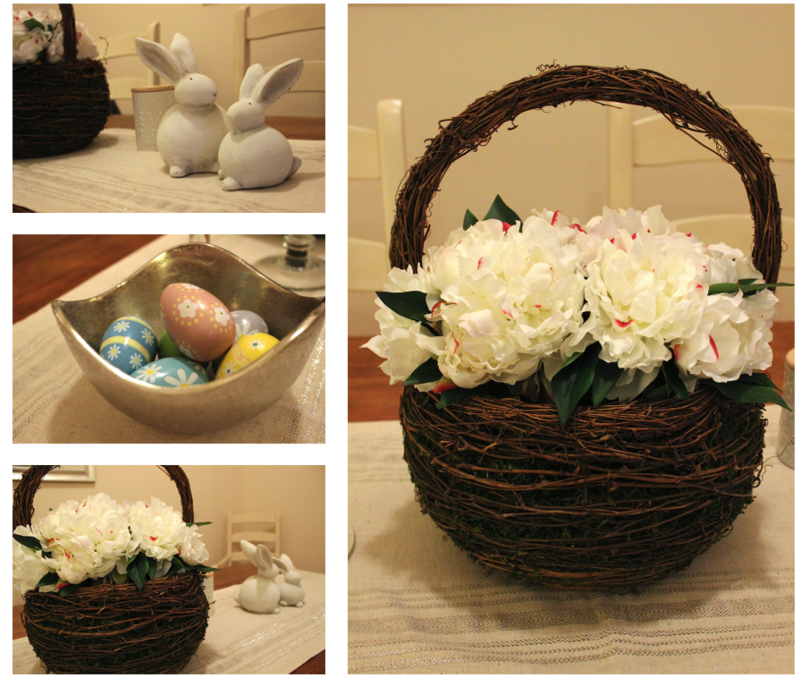 The above photos show how my dining room table is currently decorated, but I have a bunch of my other favorite finds listed for you below. They all lend such a refreshing feel which is more than welcomed after the winter we’ve all endured! Some days it feels good to keep my outfits plain and simple. Denim on denim and a great pair of sneaks can surely accomplish that. It also feels quite refreshing after being bundled in sweaters for 5+ months. I recently ordered a new pair of Converse and have since been wearing them everyday that the weather allows my ankles to be exposed. 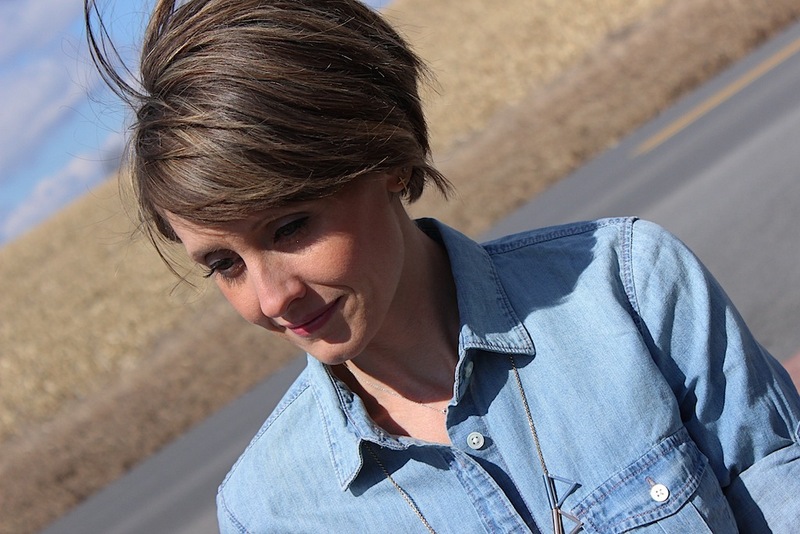 This particular day was warm enough but the wind was annoying to say the least, hence my crazy and unruly hair! I’m not one for dirty shoes, but I can’t wait to beat these guys up a little and slap the shiny white off of them! I always go for the ‘Shoreline’ Converse because I find them to be more flattering on my feet than the classic Chuck Taylors. The slip-on feature is a nice little bonus.